If you want to avoid all the bother one has to go through when looking for a legal professional on the last minute, then you must be aware of filing an answer to unlawful detainer California. Afterwards, you as the tenant you are summoned where you are given 5 days to answer the court. You may end up filing a default against yourself, if you miss to answer the court within the given time frame. Hoping you will not file a UD-105, all you are obligatory to do is to attend the legal summon as required. 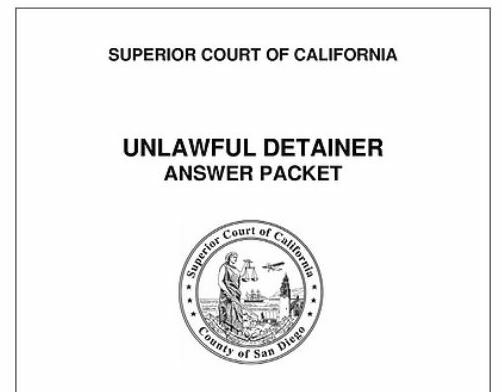 What is an Unlawful Detainer – California? For those who do not know what is an unlawful detainer is, it is important you get to know such needed knowledge since it will be for your own good in the end. You will need five working days or more if the court grants you upon request, when you’ll want to file an answer to unwanted detainer, also known as UD-105. The court however will need to be convinced when it comes to issuing more time, that all is done under “good faith”. It needs to be confirmed that wanting more time is not a delay scheme, or any other intention of that matter, for the court to add the time frame given for the filing request. After inquiring from your professional what is unlawful detainer, now you can understand clearly the account of the proceedings. 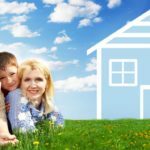 You are required to keep some factors ahead when it comes to answering UD (“Unlawful detainer California”) or a probable eviction. Initially, you are needed to prioritize the time limit granted by the court. Besides that, you are required to establish a written answer, which becomes an evidence of you answering UD 105. Furthermore, it is a must to have an assertion that the information you are handing in are proved and tested, since you may be required to confirm these upon court’s request. Consequently, it is always advisable to deliver verified or provable bases that will help you be on the safe side during the entire court’s proceedings. •	The new owner, who is now known as the plaintiff, can file in court a California unlawful detainer after 3 days. This is the dreading situation where the former tenant of the property is locked out and must seek another place to move into. Our job is to help in the groundwork of court documents and supervising the whole unlawful detainer process. The procedure can be prolonged prominently by not filing a response in the 5 day response timeframe, however to answer with motions and petition the court such as “motion to quash illegal detainer California” and “demurrer unlawful detainer” in an unpleasant manner to Delay with all lawful ways possible. We support you not to go through eviction. A professional and a well-skilled expert can be of great help, if you are seeking for a complete unlawful detainer answer. The significance and use of a professional or skilled expert is not affected, even if you have acquired knowledge about the entire unlawful detainer California process as stated earlier. In your UD response, should consist of assenting fortifications together with the denials as well. Likewise, the justification should be convincing enough to out-do the material accusations enacted by the home-owner. 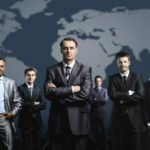 The most ideal way to counter unlawful detainer California timeline, is hiring a professional, though there are several other ways to do so, which are a risk to you, because chances are you may make the case more complex as you’ll get involved with things that you don’t fully understand. Mostly in such cases, time is your chief principle and that is another major reason to hire an expert. Before you answer the UD with UD-105, you need to be aware that the permissible defenses are quite limited; hence you timing yourself. Answering the UD by yourself is opportunities of everything going wrong, instead, search for a professional guidance to help you through. An unlawful detainer complaint is required in California’s law, is necessary to be served in person to the person who is being sued, however there are few cautions to this regulation. Normally, the process server (the person who is serving the complaint) arrives at the premises of the tenant that is being supposed to be evicted, will inquire for the defendant’s name. If he finds the defendants whose name is at the lawsuit is not at home, he may leave the complaint with an adult who also lives at the property. This is known as the substitute service. In California, the law generally requires that an unlawful detainer complaint must be served in person to the person who is being sued, but there are several caveats to this rule. Usually the person who serving the complaint (also called the process server) will arrive at the residence of the tenant the landlord is attempting to evict, and will ask for the defendant by name. A substitute service is done whereby, if the person, or persons, named as defendants in the lawsuit are not home, then the process server may leave the complaint with an adult who also resides at the property. •	The process server may try to look for the defendant at his/her place of work or some other familiar places he ought to be found. This is done when the defendant or no other adult is found at the resident. •	When the defendant is not found in the house for three times or so by the process serve, a petition is made to the court by the plaintiff’s lawyer, explaining that the complaint has not been personally served. The process server hands-in the declaration to the plaintiff, which shows and proofs that he/she tried to serve the summons and the complaint. •	Then an order to post mail is requested to be done where it is when the plaintiff appeals to the court to permit the complaint to be served by posting a copy on the property and by also mailing it. Normally the court will grant the petition to serve by post and mail where the time to file a response will be prolonged to 10 days. After getting a complaint posted on your door instead of being brought in person, the most advisable thing to do is get in contact with the Court Clerk and inquire whether the plaintiff has been permitted by the court to post and mail the writ and complaint. As long as the property holder clears the property at any time before entry of judgment, the case cannot proceed in the California unlawful detainer court and illegal detainer judgment will to pass in against you. You may need to carry a divide moment, usually in little claims court, however, the Bank may present sue for rent and different expenses. It is important to let all the concerned authorities recognize that you have cleared and submitted ownership of the property, so that you may not have an unlawful judgment on your record for 7 years. Facing eviction can be a stressful process. It is important to be informed about your rights and what eviction entails. The following is the general process. Eviction is a legal process a landlord uses to make you move out. To evict you, your landlord must give you a 3, 30, 60 or 90-day notice. If you get one of these, it’s important that you take action immediately! If you get a 3, 30, 60 or 90-day notice and don’t take action, your landlord can file a lawsuit against you called an Unlawful Detainer Summons. An Unlawful Detainer tells you that the landlord is suing to have you evicted. It names the landlord as the Plaintiff and you as the Defendant. A case number and the name of the court where the lawsuit is filed are listed on the Unlawful Detainer. If you are served with an Unlawful Detainer, get a licensed unlawful detainer assistant to prepare your legal documents. 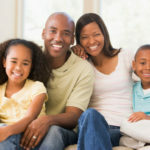 I will prepare the legal documents to block your eviction and extend the time in your home. The answer document is the last document I will prepare for you during the process to make sure you get the maximum time in your home. If you file a written response with the court, you will be given a trial date. At the trial, you can explain your case to the judge. If you win, you won’t be evicted. If you don’t file an motion or an answer within 5 days, you can’t appear in court. A default judgment will be entered against you. Once the default is entered, you can be evicted. Only a Sheriff can evict you. The Sheriff will post a 5-day eviction notice on your door. If you do not move out within 5 days, the Sheriffwill return and force you to move out. If you leave any personal belongings in the rental unit, the landlord can keep them until you pay storage costs. Storage costs start the day you are evicted but do not include back rent you may owe. If you don’t claim your belongings, the landlord can sell them at auction. If they are worth less than $300, he can give them away. It is illegal for a landlord to lock you out, remove doors or windows, change locks, cut off utility services, or use other forms of harassment to make you move out. You can file a complaint if the landlord locks you out or cuts off your utilities. We will help you do this! If you file a complaint, the landlord cannot legally retaliate against you. Retaliation may include raising your rent, decreasing your services or taking steps to evict you. This protection is good for 180 days from the date you filed your complaint as long as you continue to pay rent and follow the terms of your rental agreement. Call us right now and we will stop your eviction today! sold at a foreclosure sale, the new owner must give you at least 60 days’ written notice to vacate before evicting you. Additionally, if you are a “bona fide” tenant, the new owner must give you at least 90 days’ written notice to vacate before evicting you and you may be able to stay until the end of your lease. You must still honor the obligations of your lease or rental agreement during this 90-day time period. You may panic and make the situation worse when you are alarmed that you need to vacate the premises after receiving the tenant notice to vacate. Fortunately, there are several choices you can select to help you solve this nerve-wracking situation. The first step you need to take immediately after receiving tenant notice to vacate, is hire a knowledgeable proficient or a consumer advocate who will help you to forward your case if possible to the courts. Through this, the court may grant you more time to organize your finances so that afterwards you pay off the rent deprived of being driven out. This is quite a significant help you’d require if you are in such a situation. This is still a crucial decision whereby it is advised you research on your aspired experts authorizations. Experience is important, but still you need to be sure your expert has legal permits and is qualified to do so. You can access their previous clients’ references through consumer advocates. This is advisable as for the reason that is best for you to choose an expert who can prove to be an asset for you by reading through the recommendations of other clients who may have been in a similar situation like yours and succeeded after using him/her/them. After this, you may carefully answer the 3 day notice to vacate. Once you have been issued with the notice, your most effective step is to have an experienced professional who you should check prior this, if he/she is versed with state’s eviction laws or not. The tenant’s unfortunate situation may last throughout court’s proceedings, if the hired expert does not have a friendly attitude which could be a big plus for the tenant. Consequently, it is vital for a consumer advocate to make the tenant calm with an assurance of a better solution. An expert can come in handy even if you have been served a 30 day notice to vacate, since he/she will let you relax and not making the situation worse through panicking.